Now, we know who won this international contest, open to engineering and university students from all over the world. Nearly 1,000 teams from 55 countries signed up, but only three wining teams have been selected by a jury chaired by Valeo Chief Executive Officer, Jacques Aschenbroich, and comprising eminent figures from the world of science as well as Valeo executives. The First Prize, with a cash award of € 100,000, was presented to the Brazilian team from the Universidade Federal de Minas Gerais, whose project reinvents the mechanical transmission system by coupling together the pump and the hydraulic motor. This innovation would enable the transmission to adjust to engine RPM continuously and automatically, thereby improving fuel efficiency and reducing CO2 emissions. 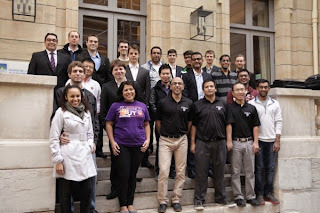 The two Canadian teams, one from the University of Ottawa, the other from the University of Waterloo, tied for second place. Each one received a check for € 10,000. Electric Mobility is a dynamic field of development. New technologies stand alongside traditionally reliable approaches to electrical engineering and electronics and the system, which connects them to standard international combustion engine technology. Today, many different voltages are used in electric and hybrid vehicles and it is difficult to understand the differences, the impact on component costs, on power electronics and on safety. This presentation is the summary of a work performed at the German ZVEI providing an overview on the current state of technology and standardization of relevant voltage classes. The work has had as objective to support professionals and interested stakeholders in development, technology, production and repair service dealing with powertrain electrification. Working groups and development teams involved in component specific activities in some vehicle areas are also given the opportunity to expand their knowledge from an overall system persepective. 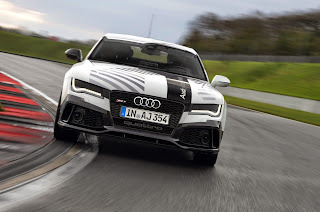 At the DTM season finale, last week end in Germany, the Audi RS 7 piloted driving concept completed a lap on the Grand Prix track in Hockenheim – at racing speed, without a driver. It took just slightly over two minutes to complete a lap on the Grand Prix track, piloted with high precision and accuracy to within centimeters. Newly defined customer expectations want full access of interaction to the world outside of their car with all kind of benefits and additional functions. 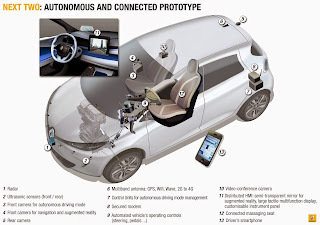 Beside new technical methods to assist human machine interaction, nowadays connectivity functions not just impact future user interfaces but also new designs and layouts of drivers activity areas focus on ease of use and simplifying the task of interaction. The addiction of everyday’s life connection to the world of internet affects driving, the safety of passengers as well as other people in yet non-automated guided vehicle systems. 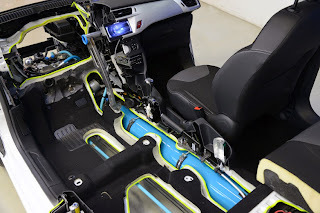 This requires all kind of new technical solutions and offers automotive engineers and designers new challenges giving full accessibility to the world outside of the car by integration functions into the next generation of HMI systems. 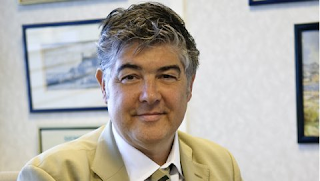 During the Mondial de l'Automobile, a conference has been organised by french automotive learning society on the topic of the connected and autonomous vehicle. It's been a success, with speakers from Renault, PSA, Valeo and Orange. The attendees learned a lot about technical issues and the need to get updated and much more detailed digital maps. The target is to make test drives on real roads starting from next year and to consider the legal aspects. Traffic jam assist and remote automated parking will be the first applications. CESA blog already mentioned the three concept cars from the french OEMS, showing the way to very sober cars. The aim was to achieve 2 L/100 km, thanks to lightweight construction, aerodynamics and hybrid powertrain. 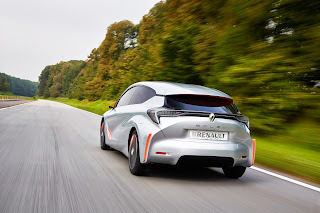 During the Paris Motor Show, we had the opportunity to make a test drive of the Renault Eolab. It's an impressive demo car, with a fuel comsumption of only 1 L/100 km, thanks to plug in hybrid technology. Elmos Semiconductor AG, the world's leading supplier of ultrasonic ICs for parking assistant systems and semi-automated parking aids, is developing its next generation optical sensors for advanced driver assistant systems. Based on its unique HALIOS(R) technology currently used for HMI center stack applications, ground classification, lane departure warning, rain-light sensors, and others, Elmos will provide a new automotive IR sensor IC, which will operate independent of the target's degree of reflectivity. The sensor provides an absolute distance information which is very accurate and fast. 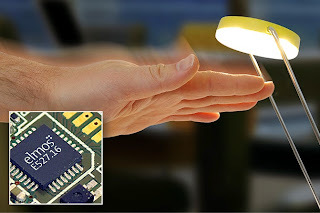 The sensing principle is immune against ambient light for very robust and reliable measurement results. When connected to a booster IC the technology can measure long distances enabling applications such as blind spot detection, side distance warning, autonomous parking assist, traffic jam drive control, fog detection and many other automotive applications. Wow : those who don't believe to the connected car should come to Paris and make a stop to Porte de Versailles. As an example, the brand new Espace from Renault offers a 8,7" tablet in the center console. Not as huge as the Tesla Model S, but big enough to display with a great comfort navigation and apps (Coyote road alerts, Michelin POIs, social networks, e-mail reading...) from the R-Link store. The European automotive electronics is a global leader : did you know ? In France, for the general public, the electronic word is taboo. Associated with the electronic term appears hopelessly spectrum of industrial relocation to the South-east. If you want to get into this, so talk instead of "embedded system" or "digital pipeline" ("ICT" in fashion), but please don't say electronics, and especially not automotive electronics. It looks like a regular Peugeot 208. But, this concept car is much more sophisticated and above all achieves a fuel efficiency of just 2 L/100 km. The car illustrates the French government’s "New Industrial Plan" ("2 L/100 km for all"), which is an initiative of the country’s Minister for the Economy, Industrial Renewal and Digital Affairs. PSA Peugeot Citroen has unveiled in 2013 a new hybrid powertrain concept - Hybrid Air - described as disruptive hybrid system that makes a major step to lower emissions and fuel economy. With this system, during city driving cycle, the vehicle operates in Air Mode, from 60 to 80 % of the time. As thermal engine operation is resultant of this on and off mode, the alternator is mainly shut off. In consequence, the lead-acid battery has strong cycling increase and can be quickly damaged. Besides, it's not suitable to power the electrical equipement during such a long time with only battery voltage (lower than 14 volt). 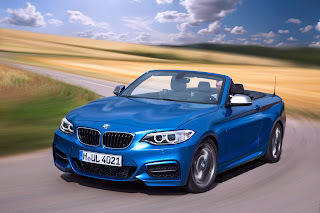 Shown at the Mondial de l'Automobile, in Paris, the BMW 2 Serie convertible will be the fist car to offer an over-the-air map data update. 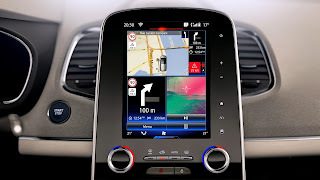 The maps of the Navigation system Professional will be updated via a mobile phone connection – at no cost to the user – thanks to the SIM card fitted in the car. The built-in SIM card in BMW models will now support the 4G wireless standard (Long Term Evolution – LTE), which provides significantly improved network coverage and data transfer speeds. 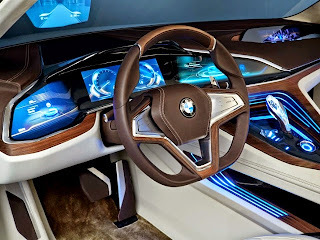 In this way BMW ConnectedDrive intelligent connectivity functions will offer even faster and more reliable performance.